The Spaniard has just 15 months remaining on his existing deal with the Red Devils and this has recently triggered the speculation that he could be offloaded when the transfer window reopens. However, according to The Mirror, the Red Devils have no plans of doing so and they are willing to keep hold of the goalkeeper for the final year of his deal amid the contract standoff. 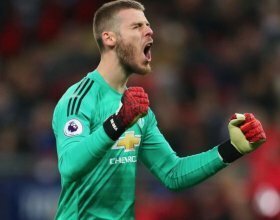 De Gea is said to want wages of around £350,000-a-week to commit his future to the club, but so far, the club have been reluctant to offer more than £250,000-a-week salary for the same. Paris Saint-Germain and Real Madrid are said to be keeping tabs on the Spaniard, who has been with the Red Devils for the past eight-and-a-half seasons. He has kept exactly 100 clean sheets in the Premier League to date.